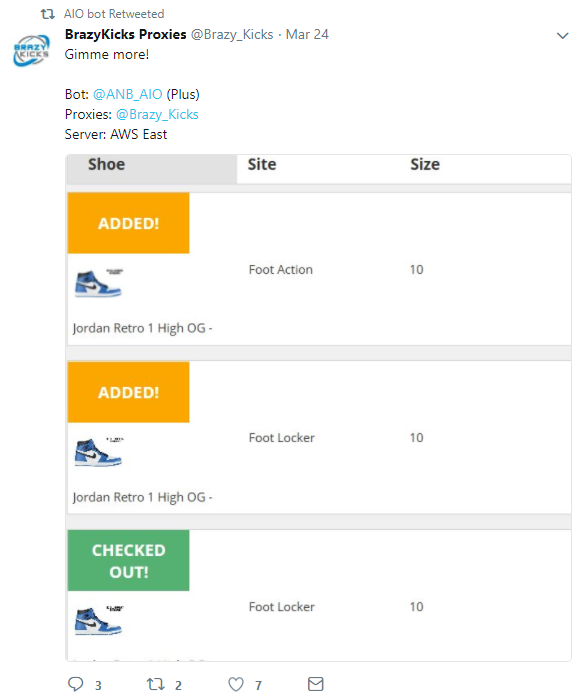 Dominate sneaker releases for the next 6 months with updates for only $69. 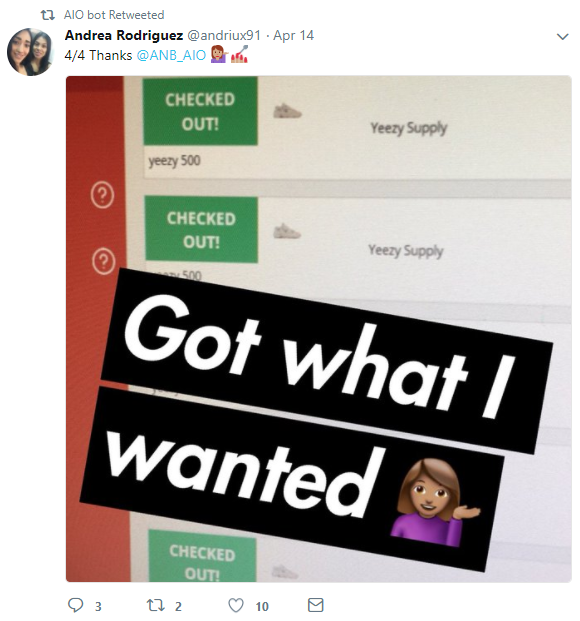 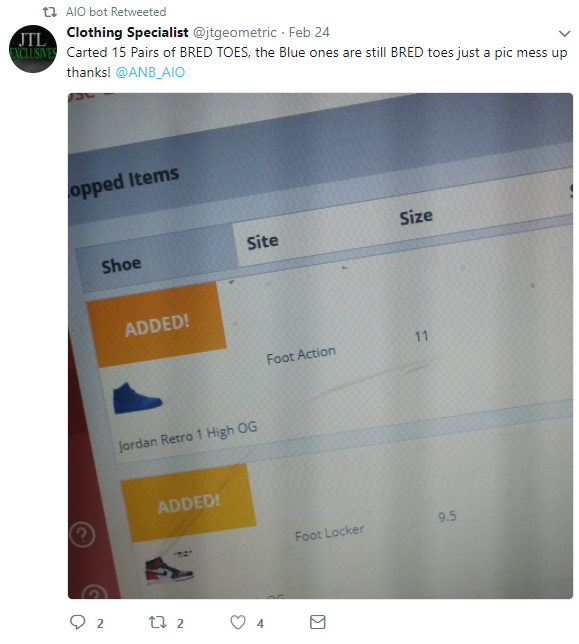 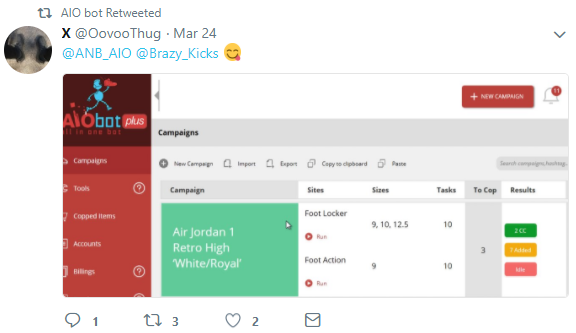 Sneaker sites often attempt to hinder your copping abilities, making it tougher with every release. 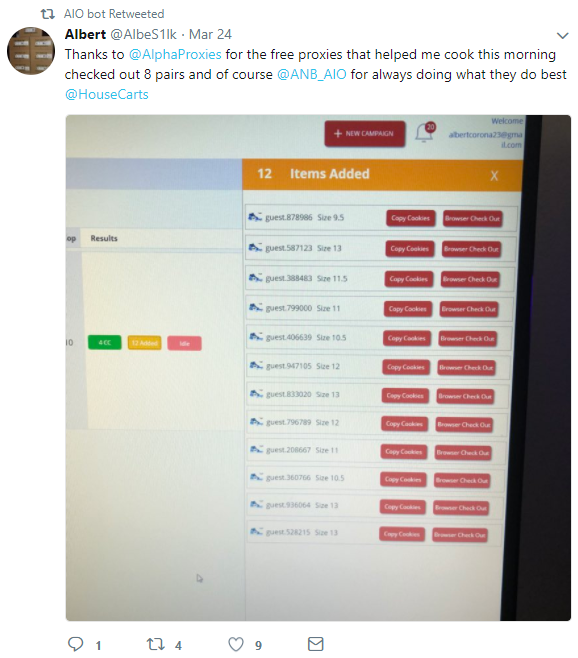 But because we make constant updates, add features, and listen to our clients’ needs, you get to stay one step ahead! 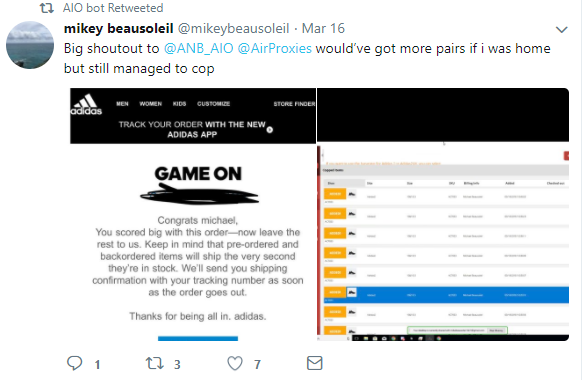 With 6 months, you can save yourself hundreds by copping at retail, and even make money at home by reselling limited sneakers. 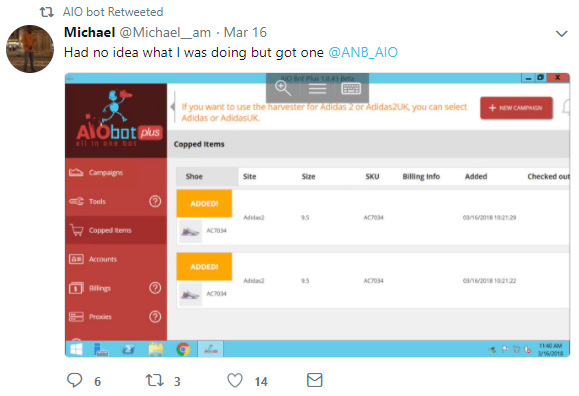 Upon purchasing AIO Bot Plus, you automatically get 6 months of free updates. 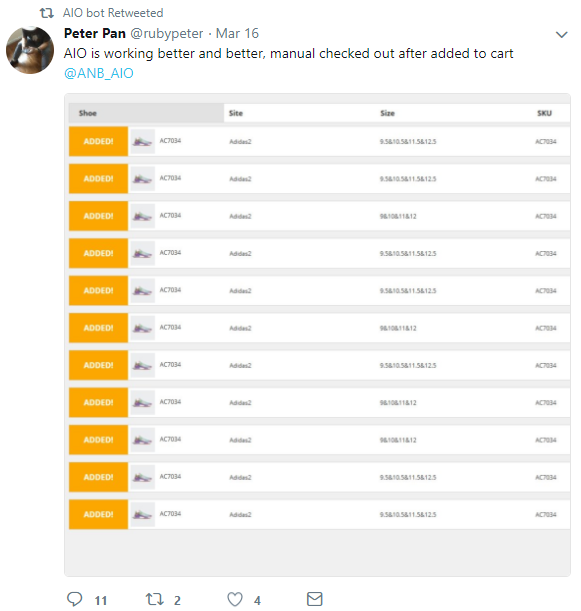 (RECOMMENDED) Renew your update period: have access to the latest updates, new features, and site fixes for only $69. 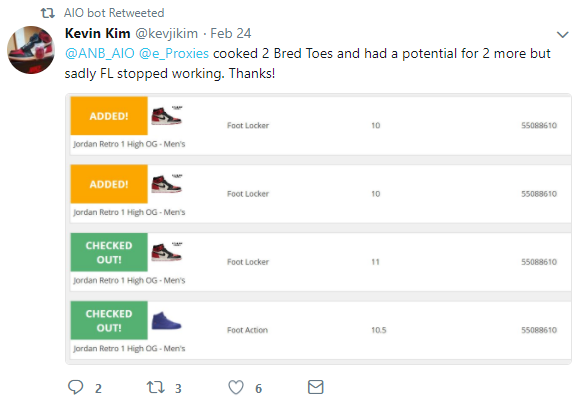 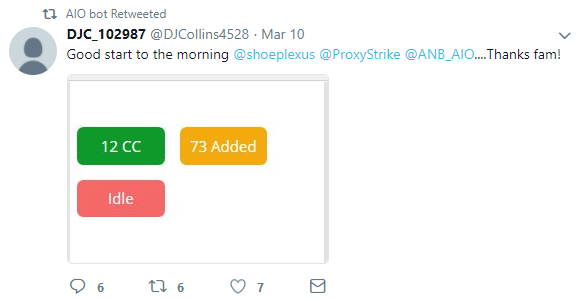 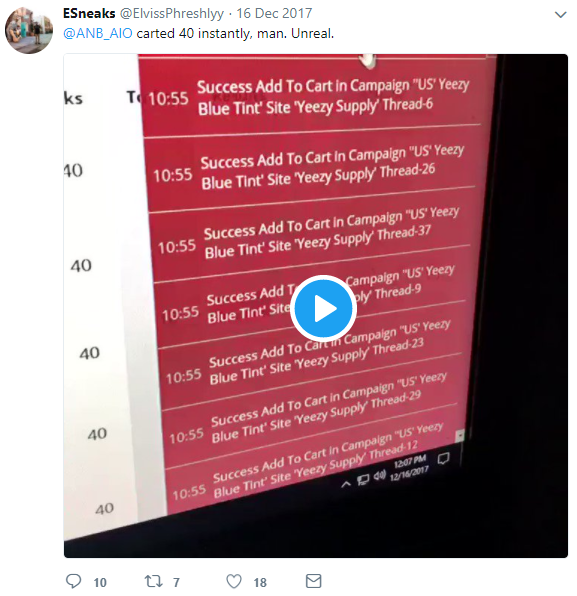 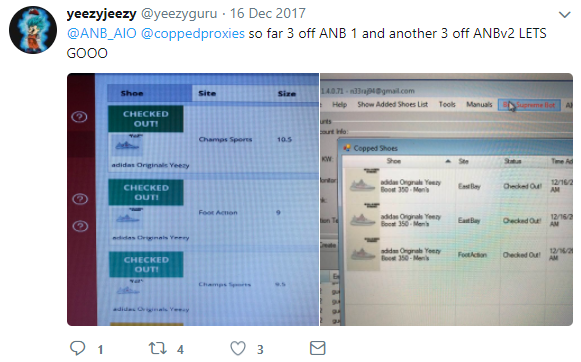 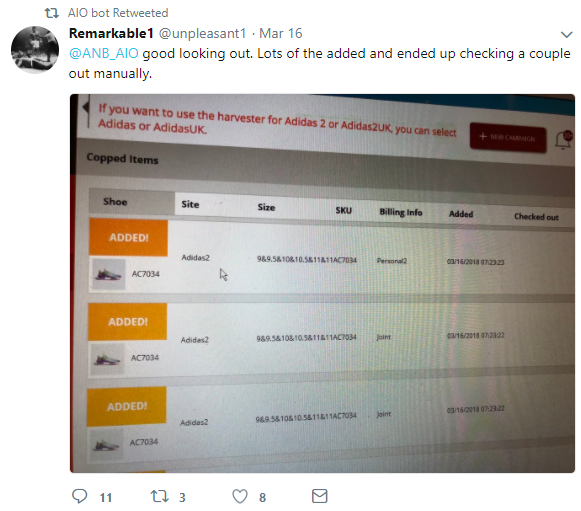 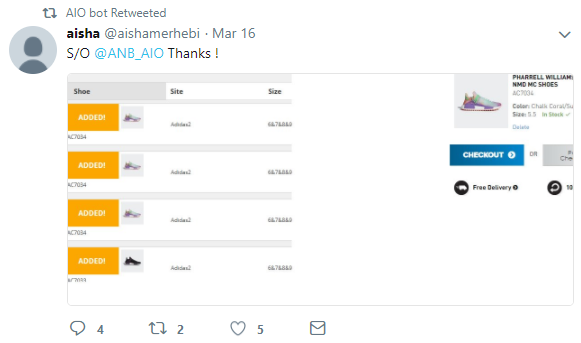 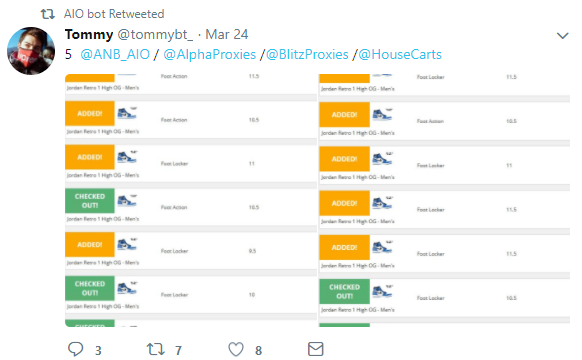 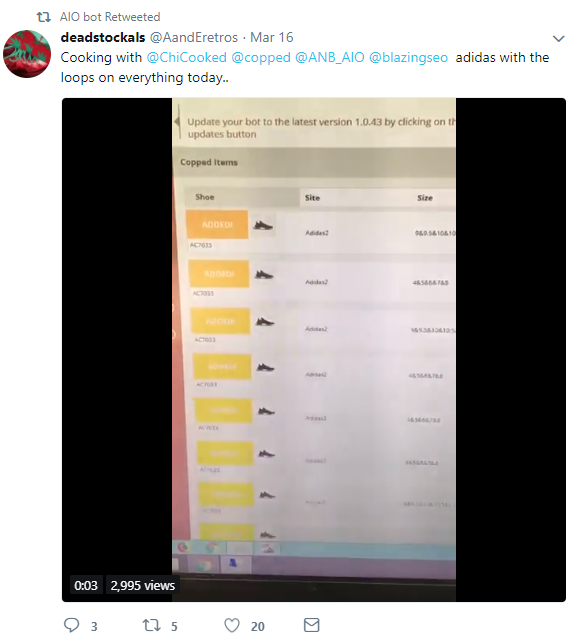 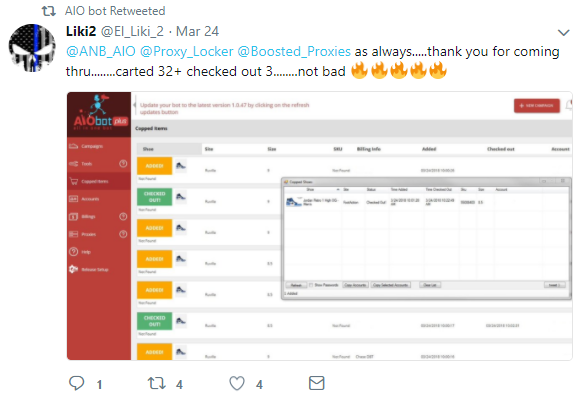 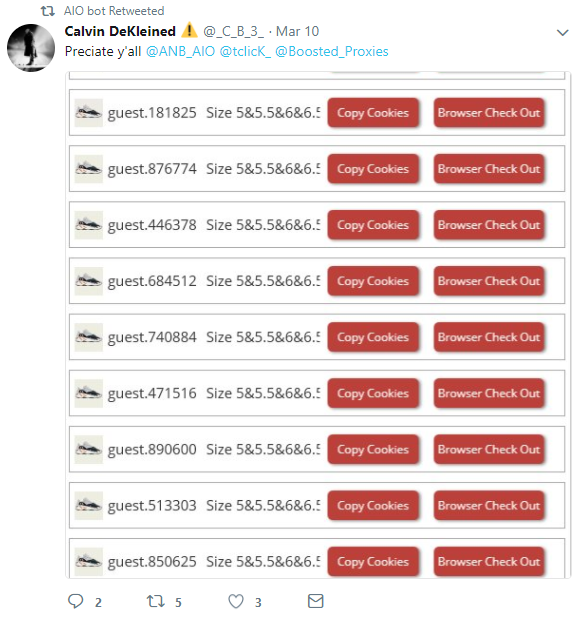 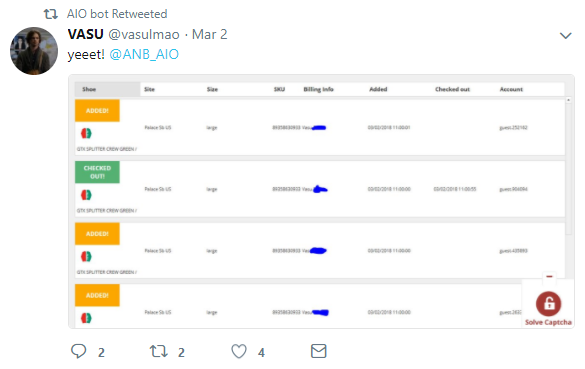 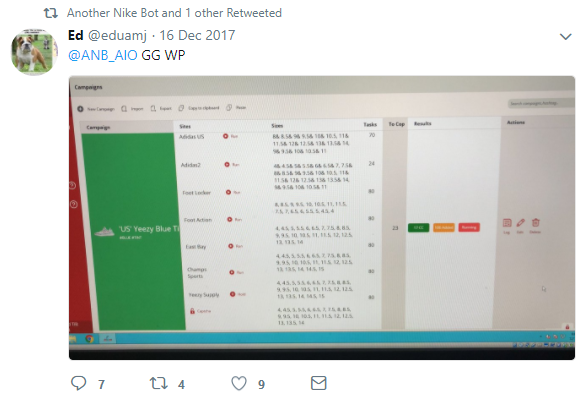 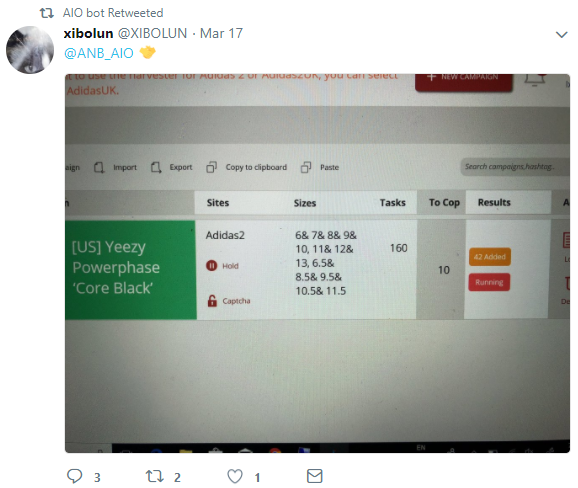 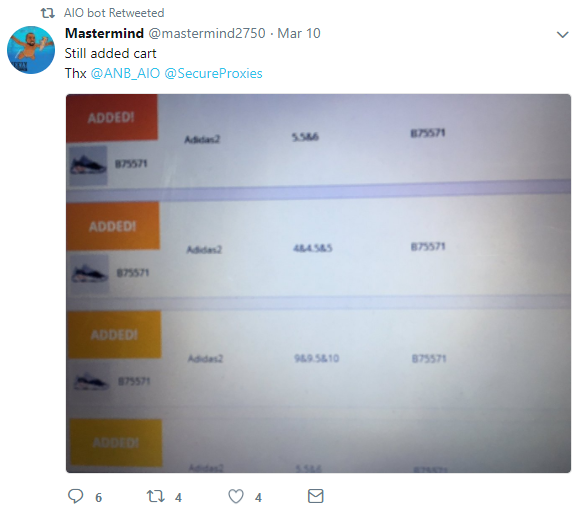 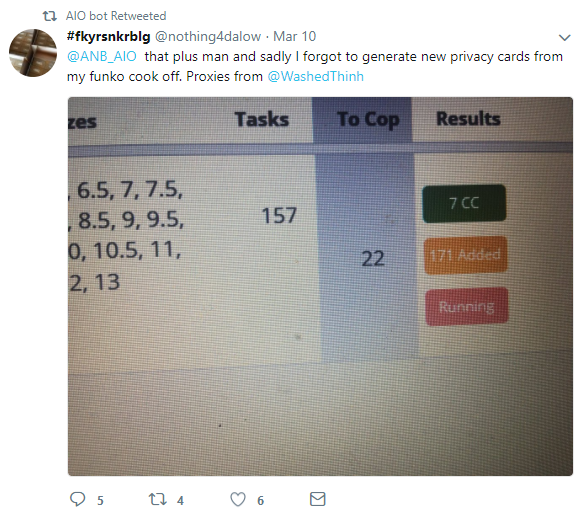 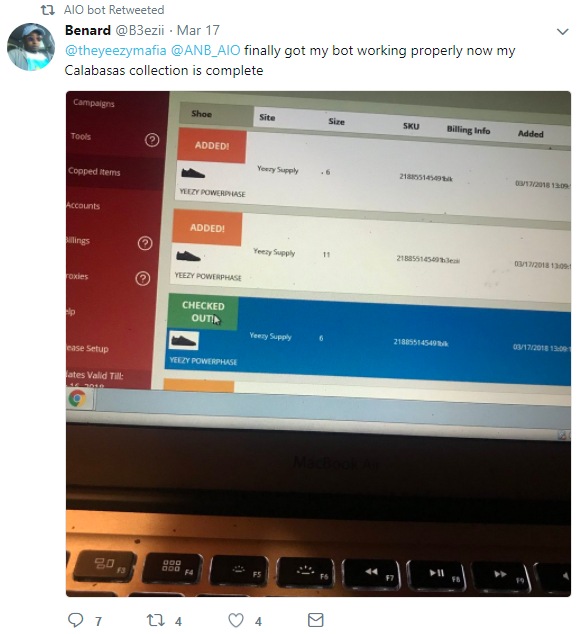 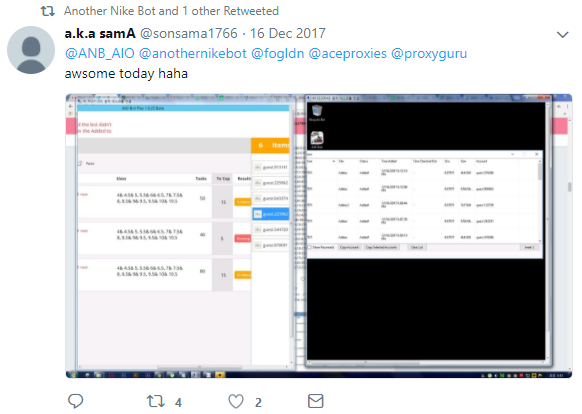 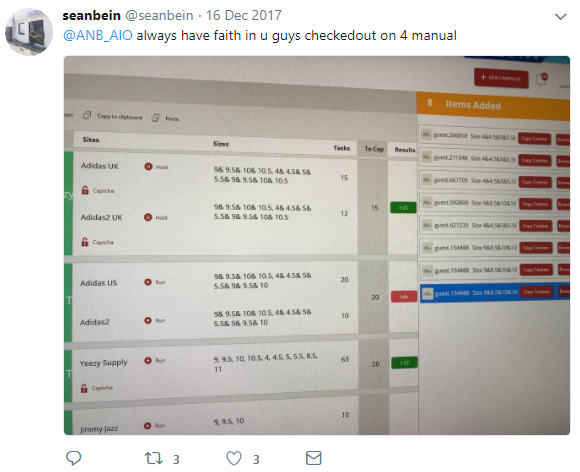 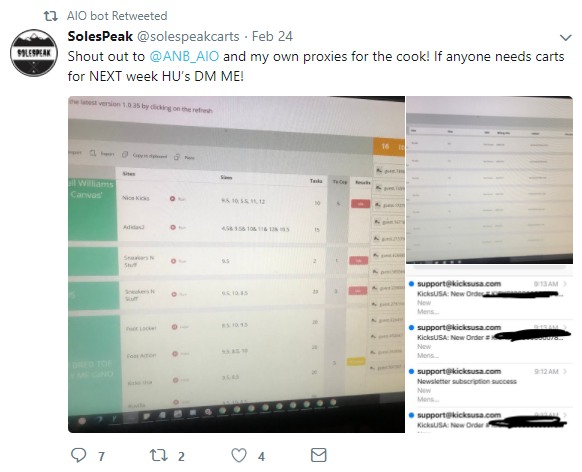 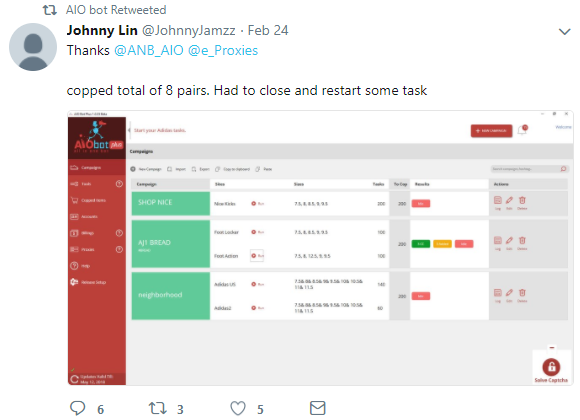 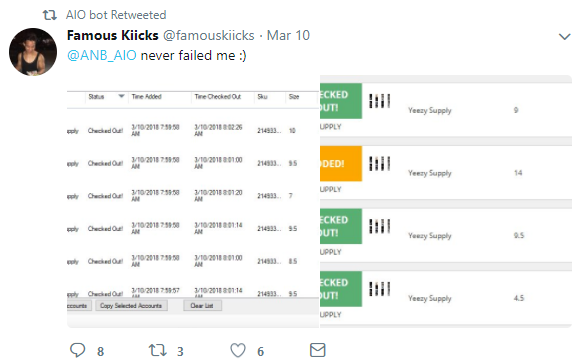 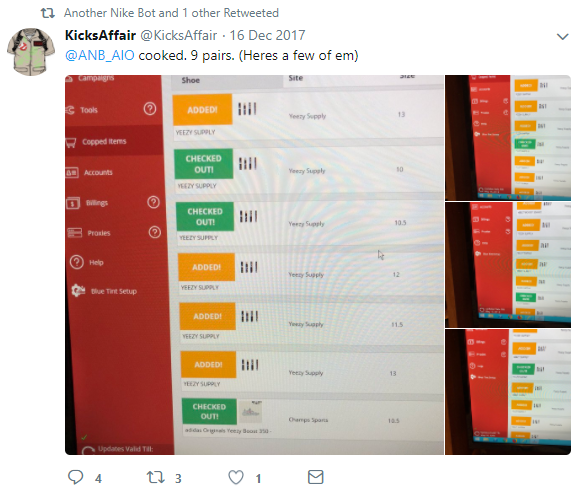 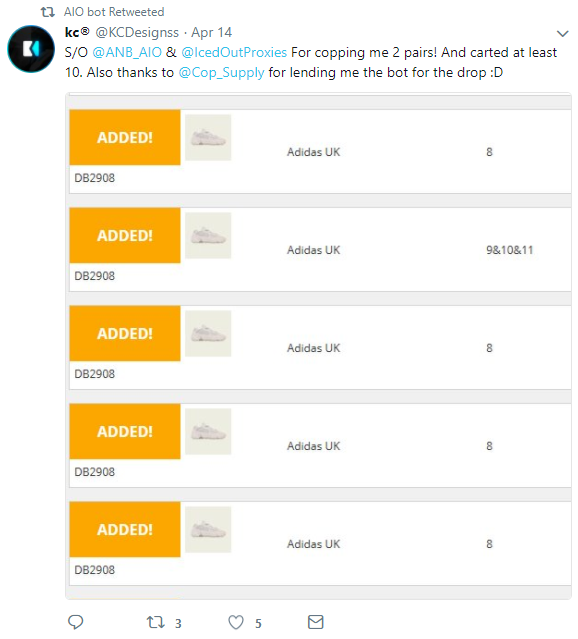 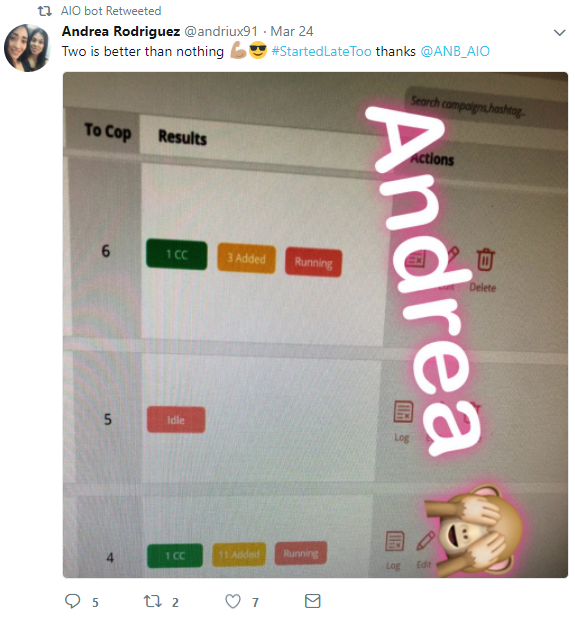 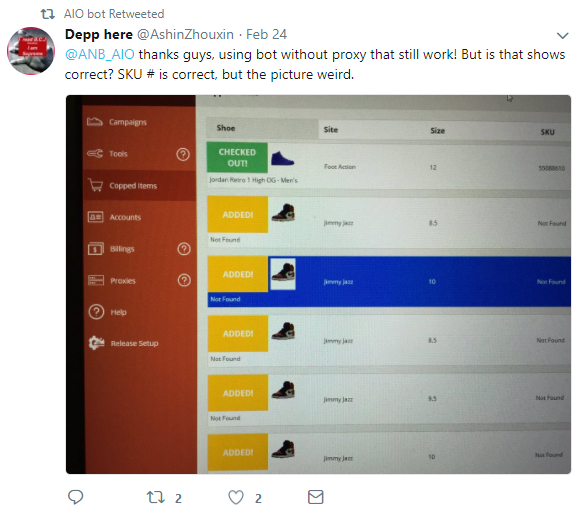 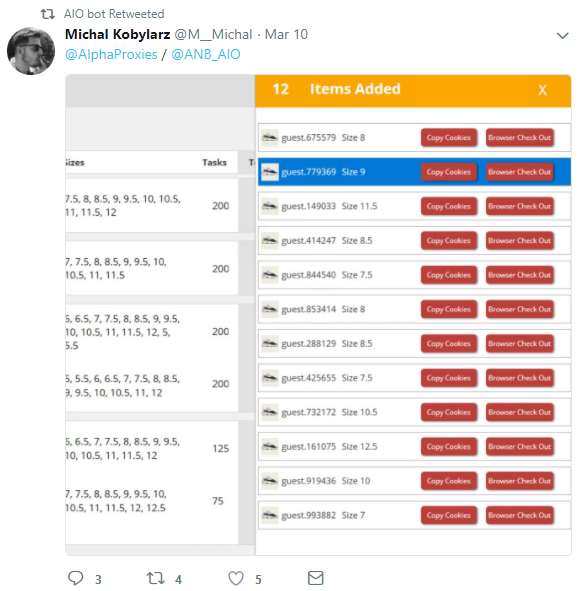 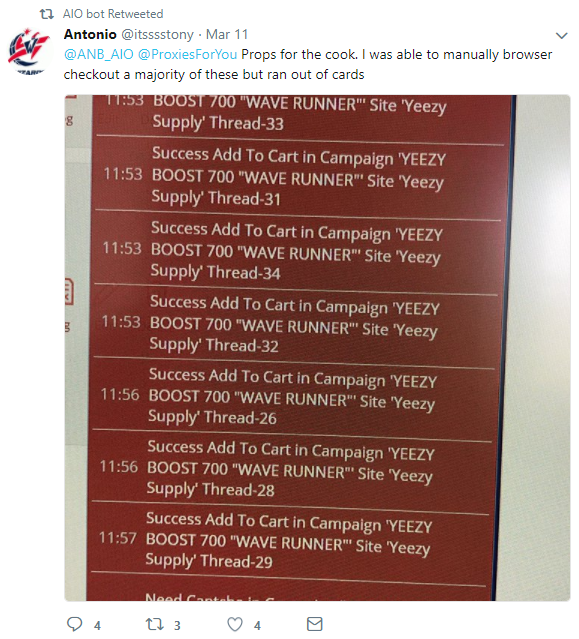 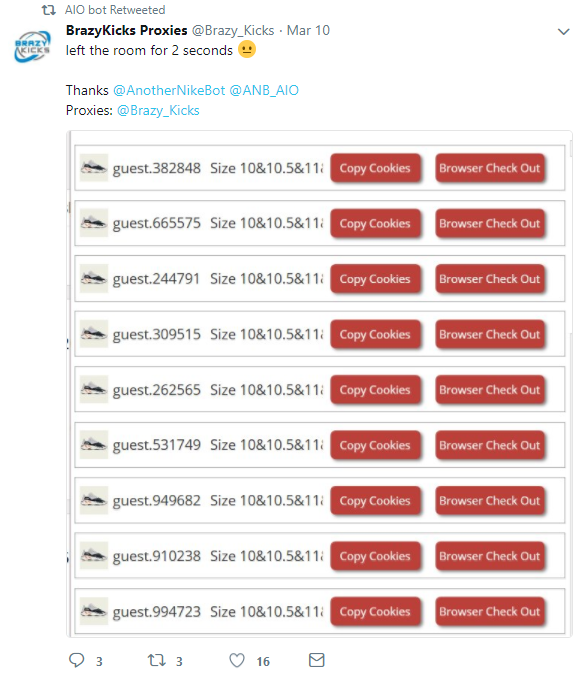 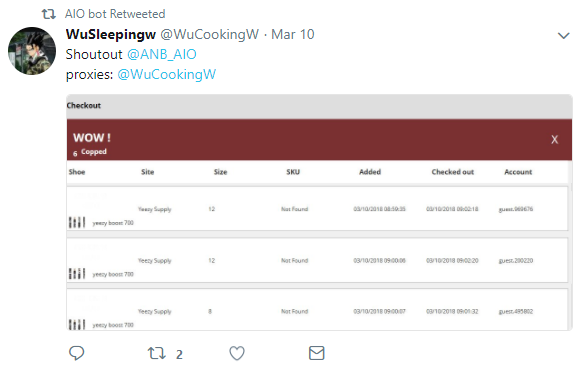 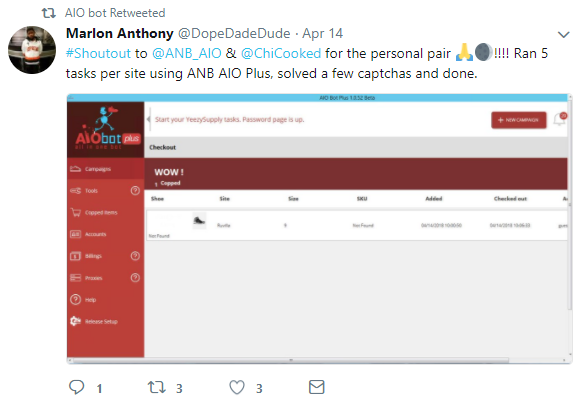 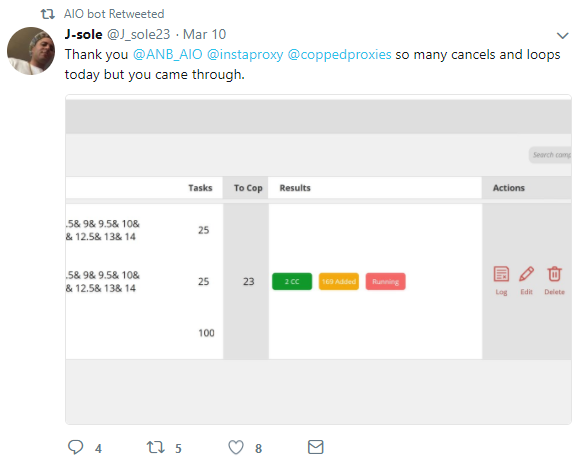 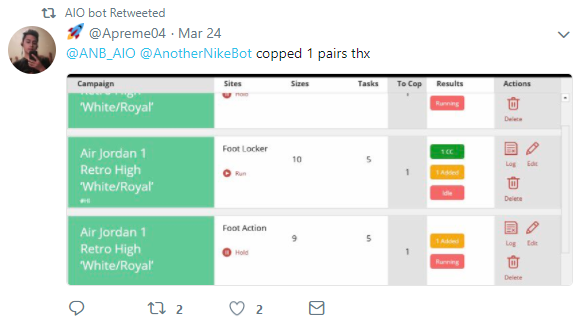 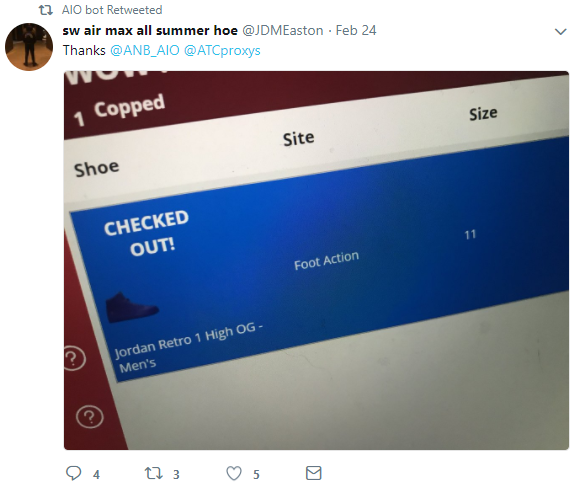 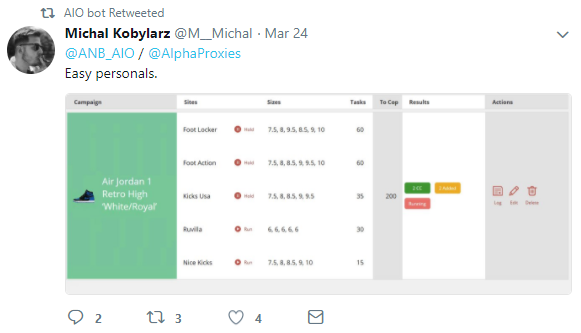 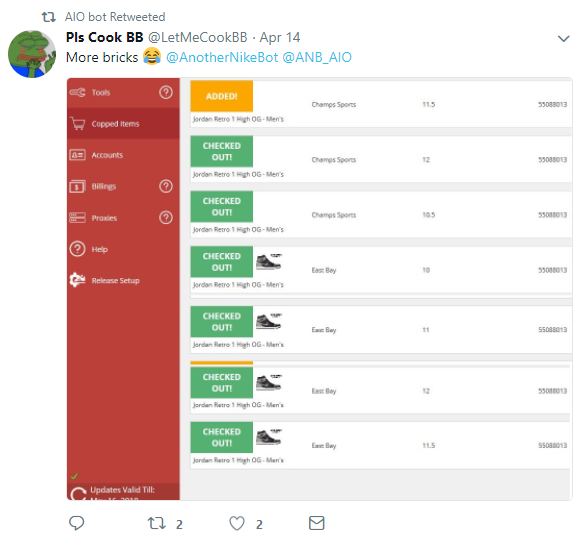 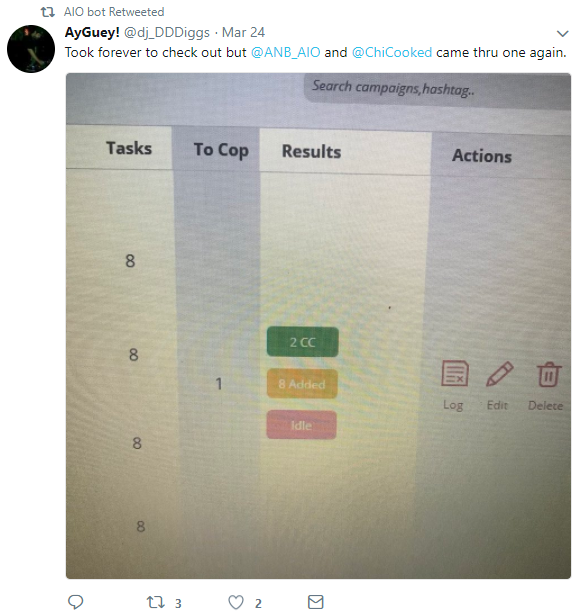 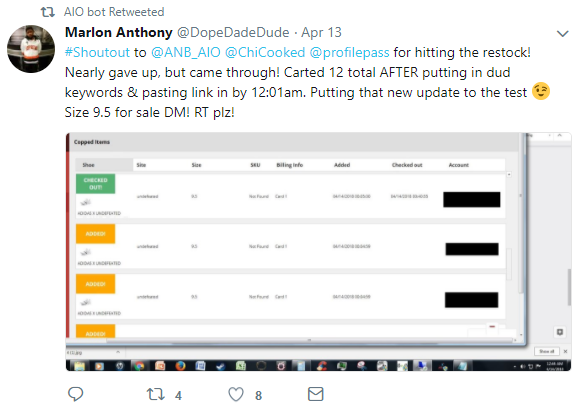 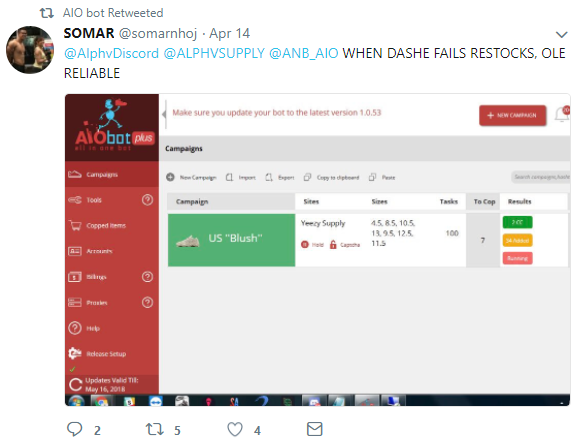 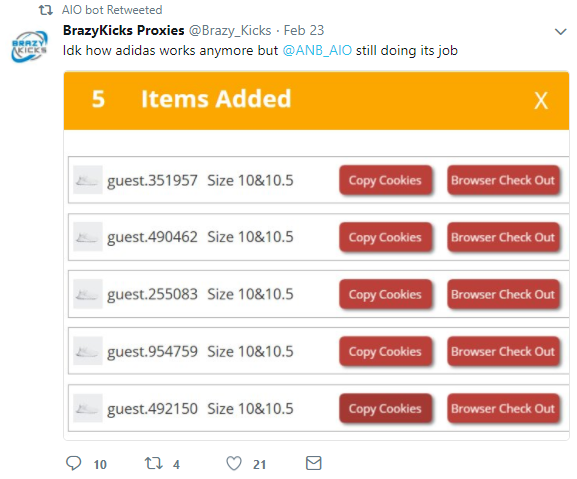 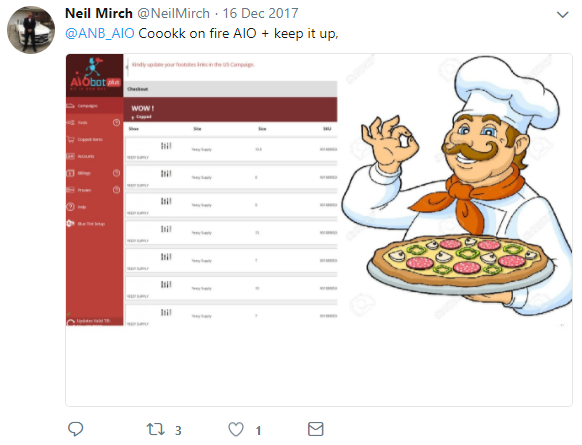 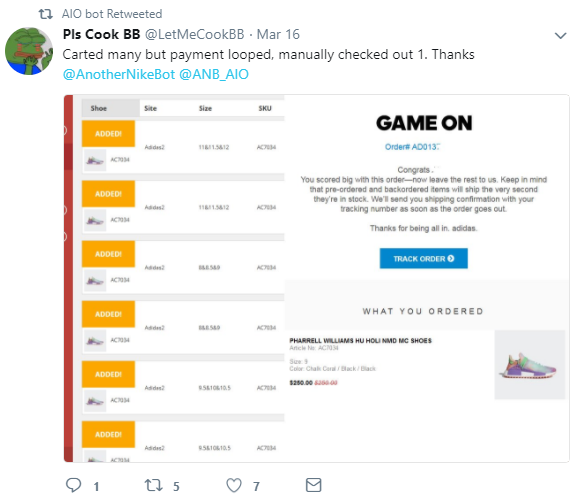 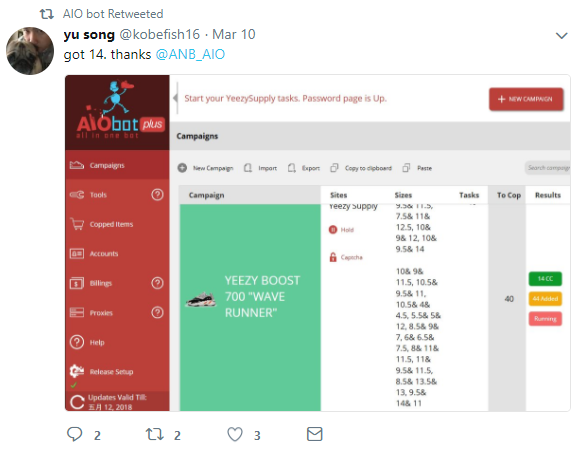 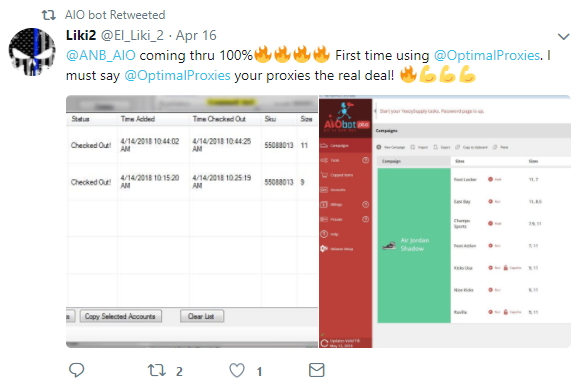 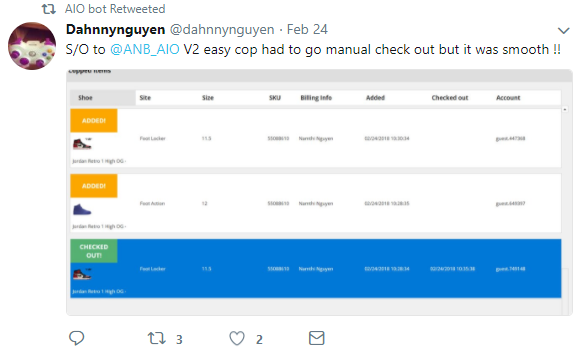 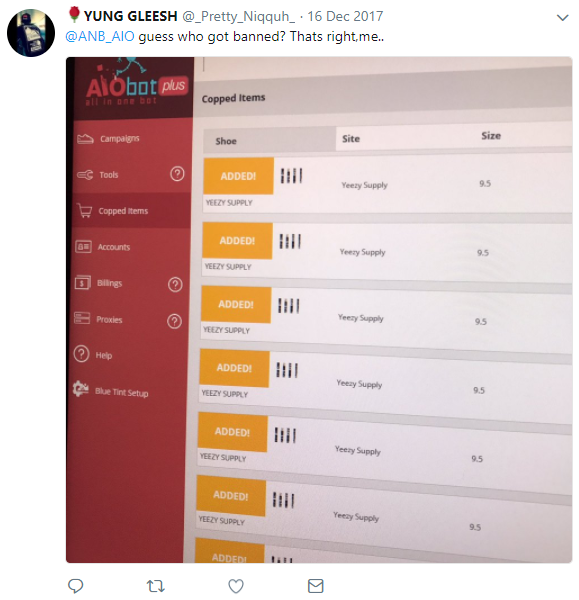 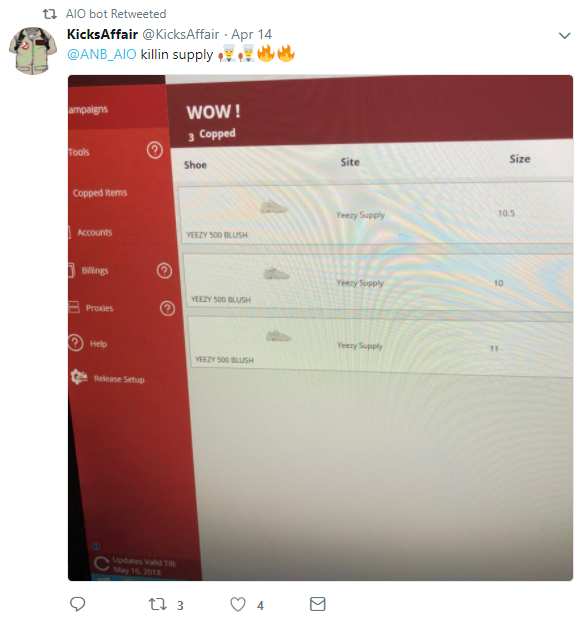 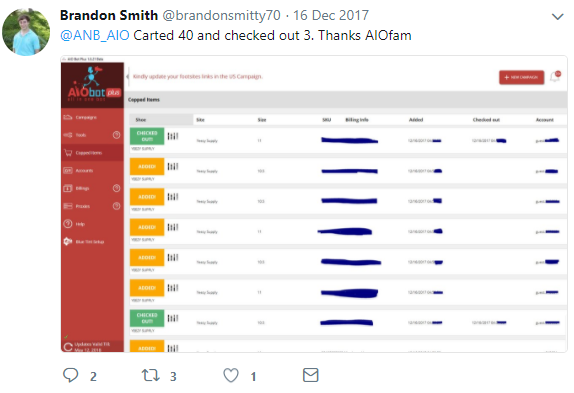 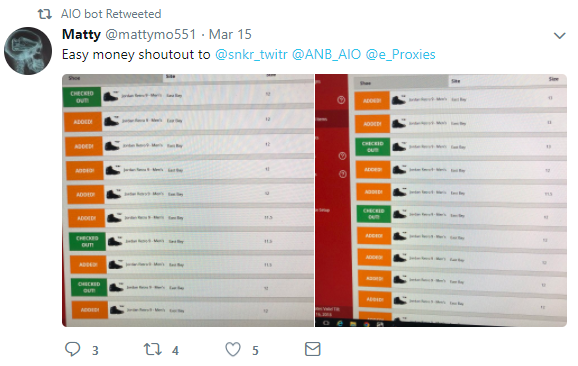 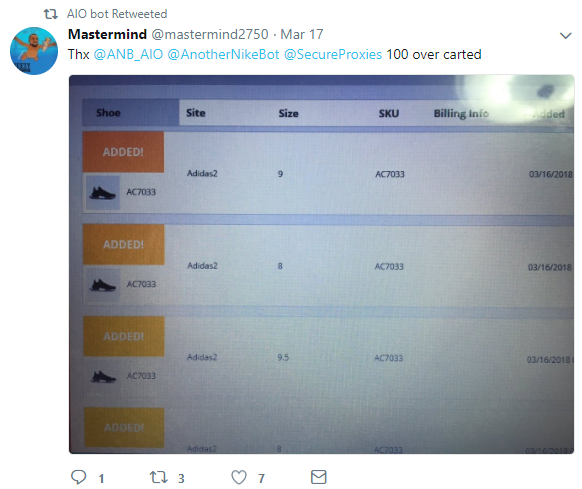 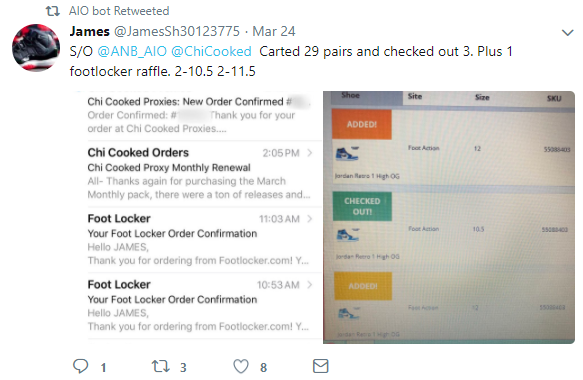 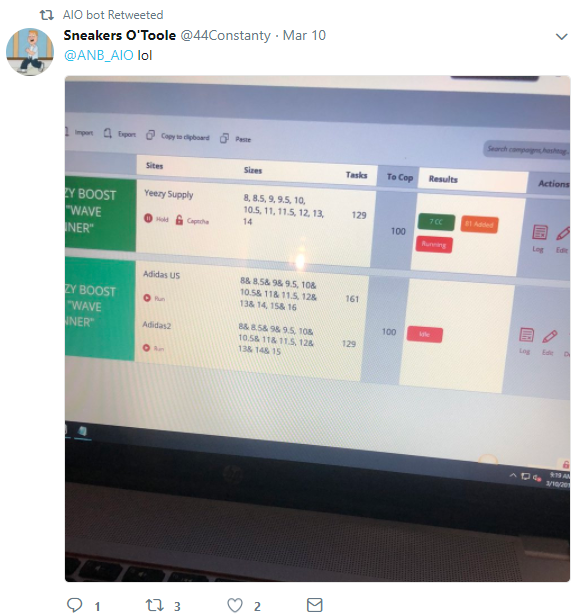 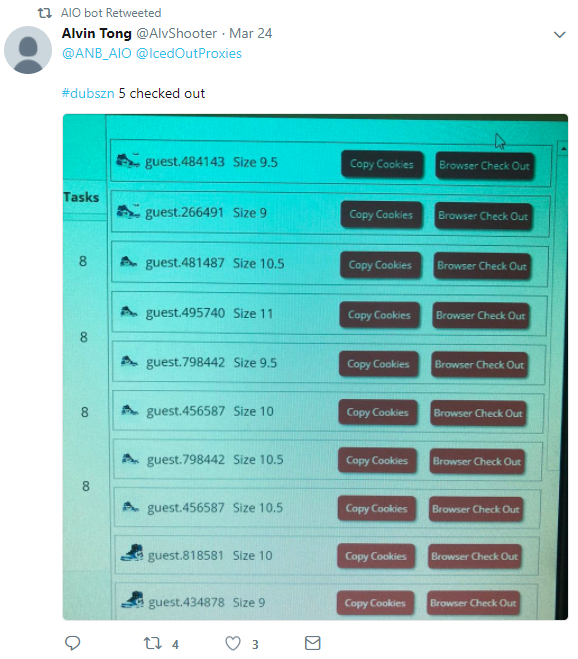 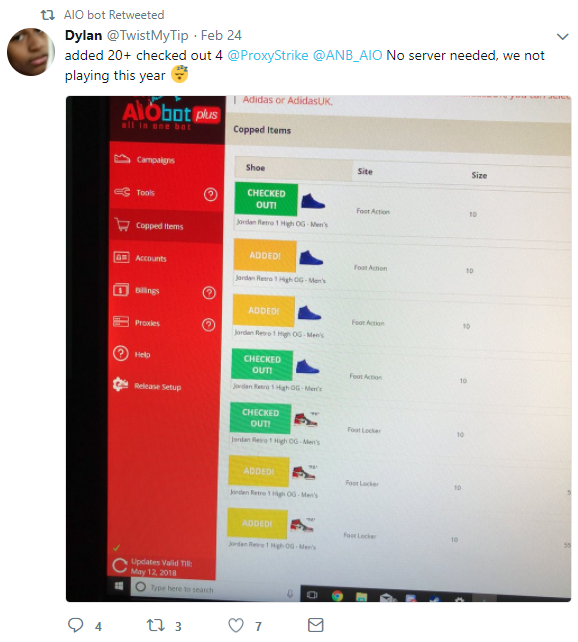 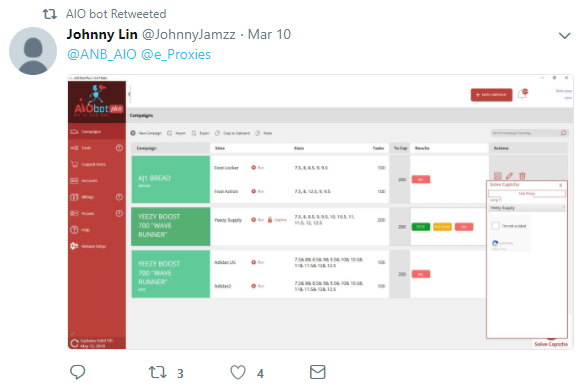 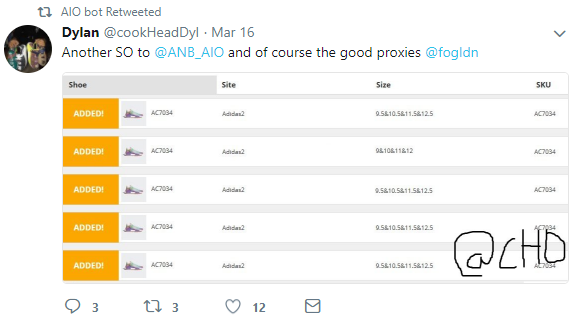 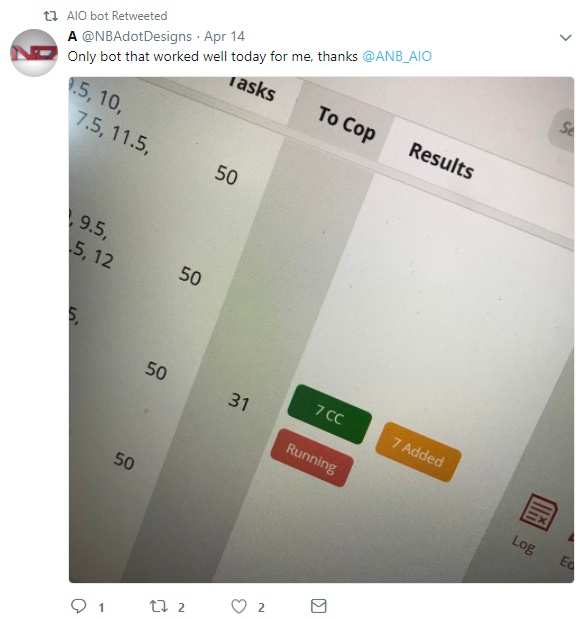 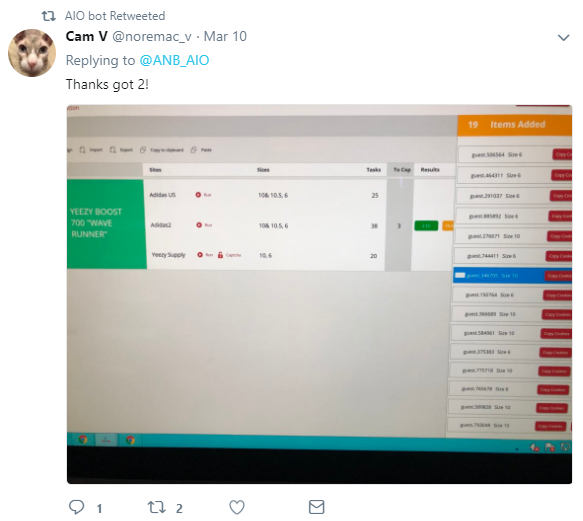 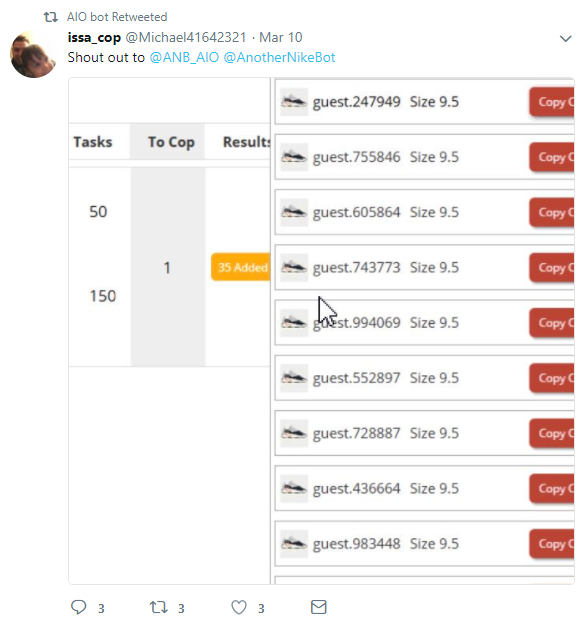 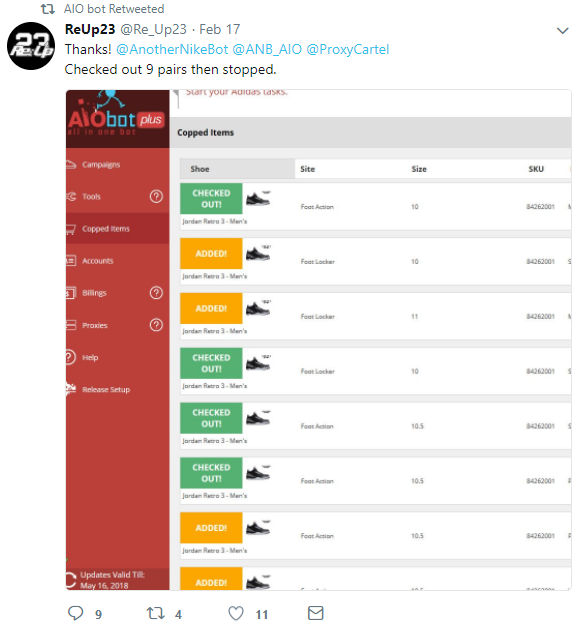 Run the bot without updates: AIO Bot Plus may be used without installing updates, however, sneaker sites are constantly changing, and you’ll notice that you’ll fall back in the sneaker game. 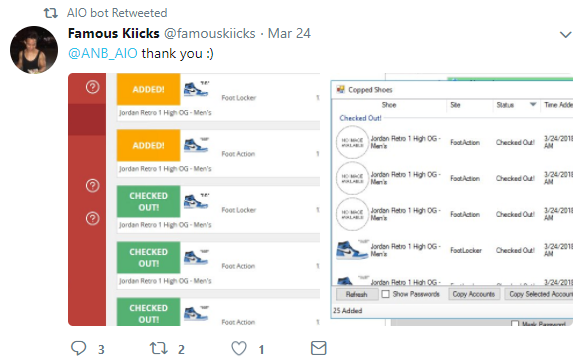 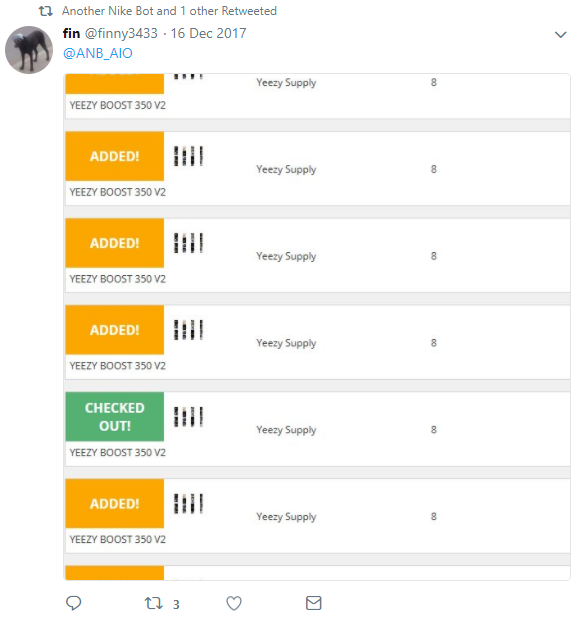 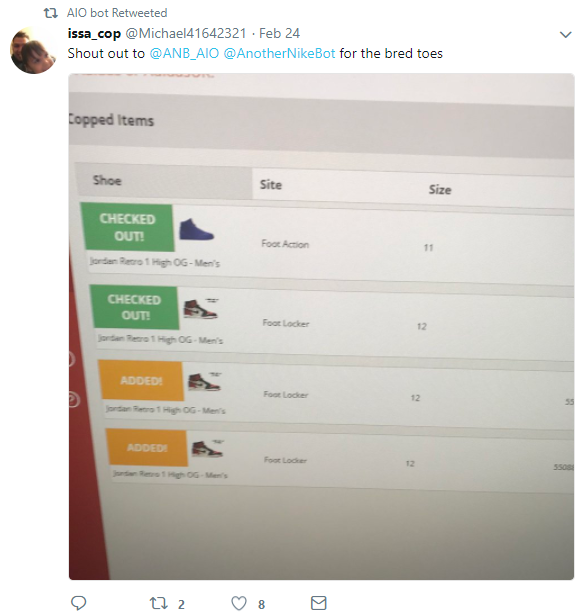 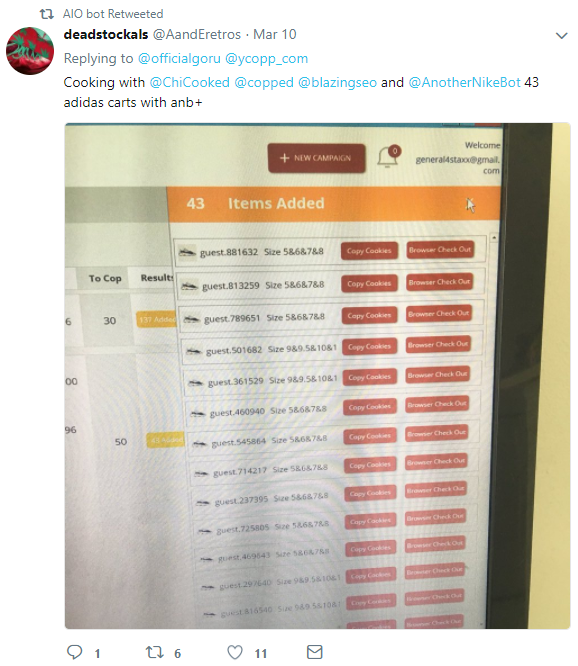 We sell a program that allows users to increase their chances of buying limited sneakers for retail from sneaker sites. 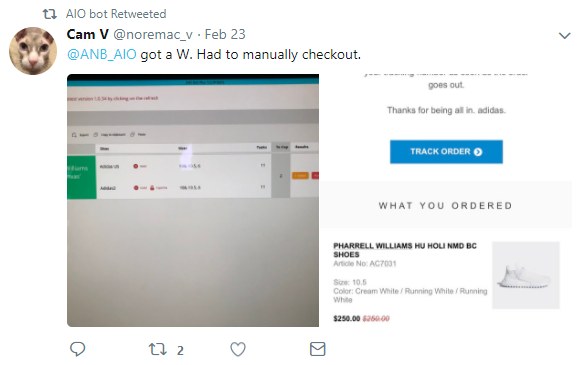 The price of our product excludes the price of the sneakers. 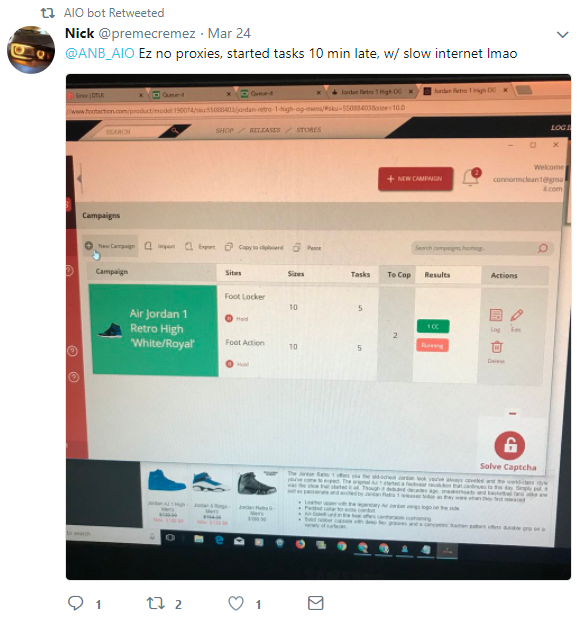 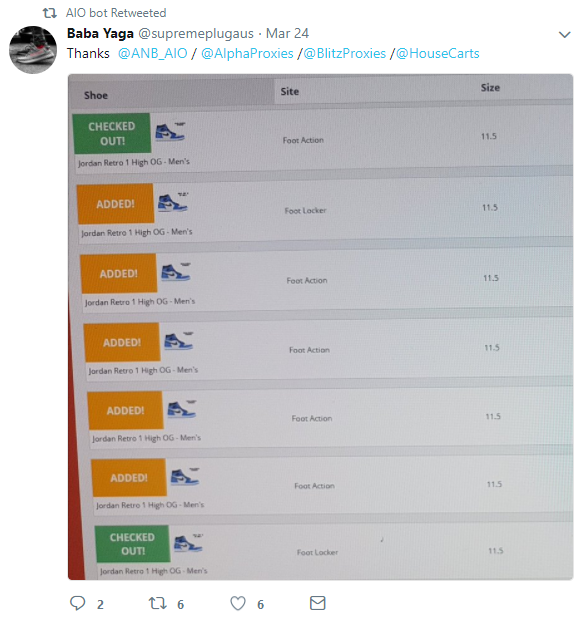 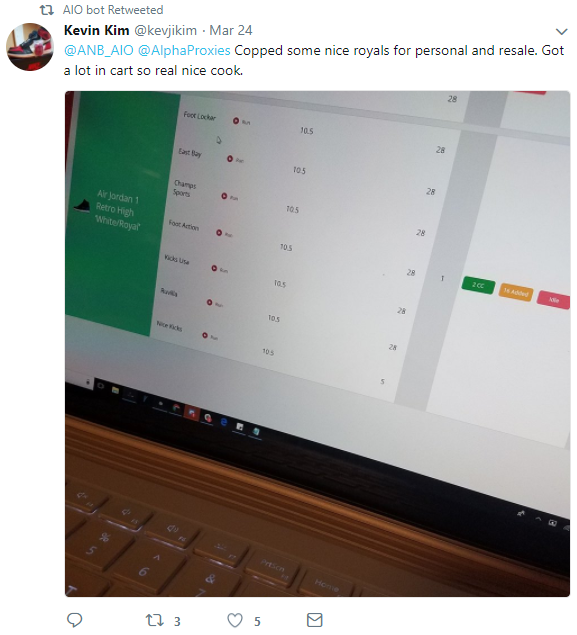 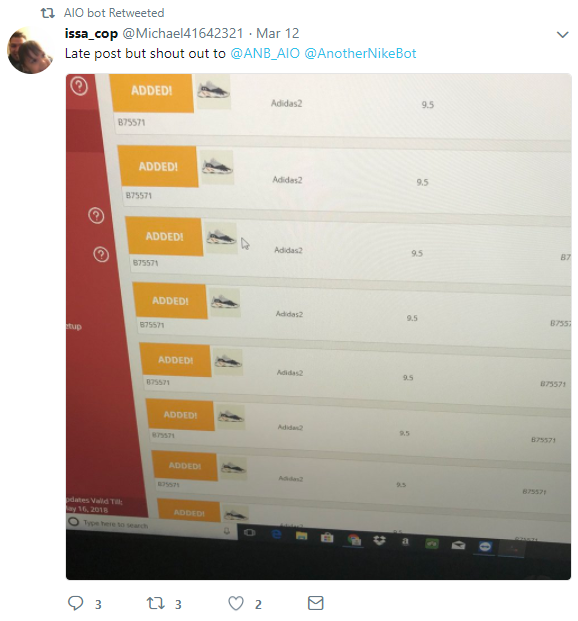 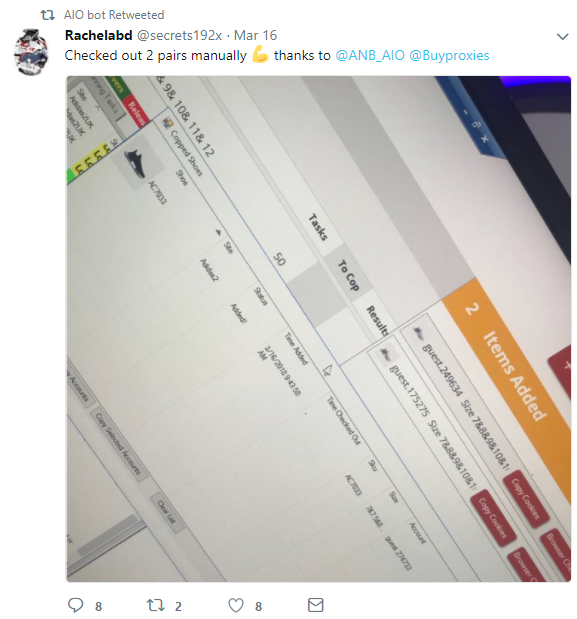 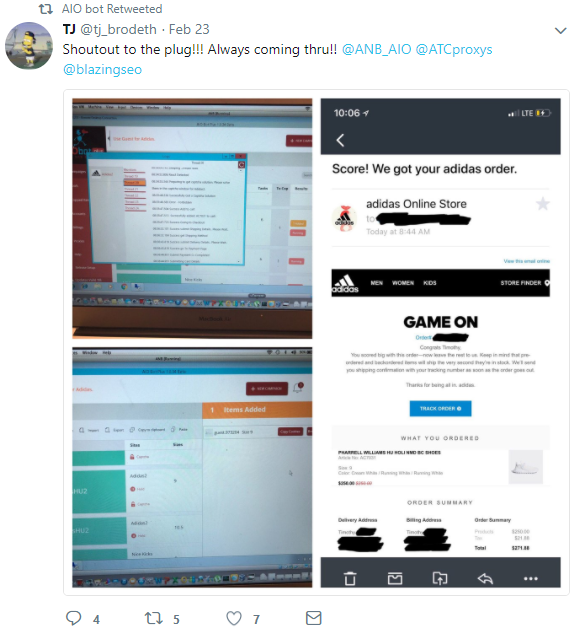 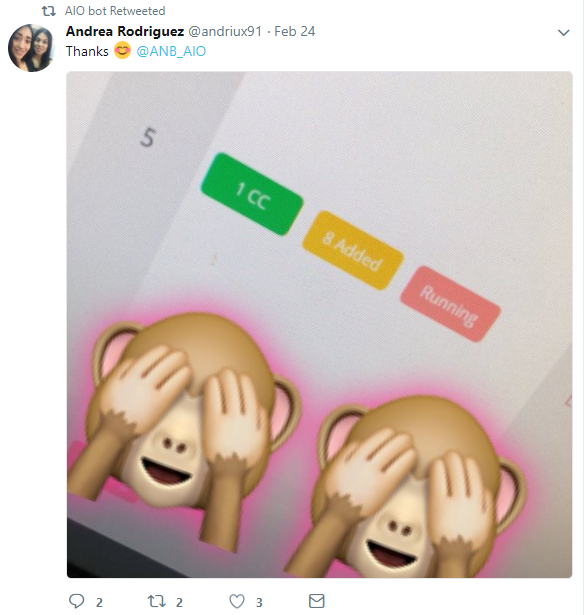 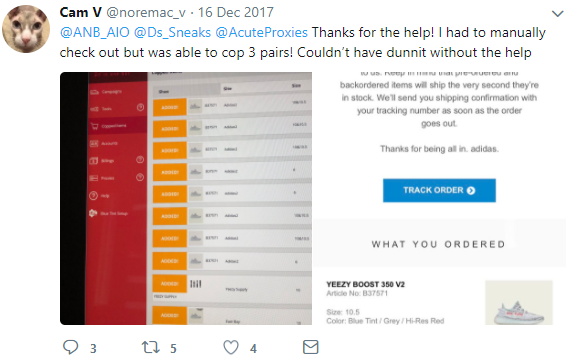 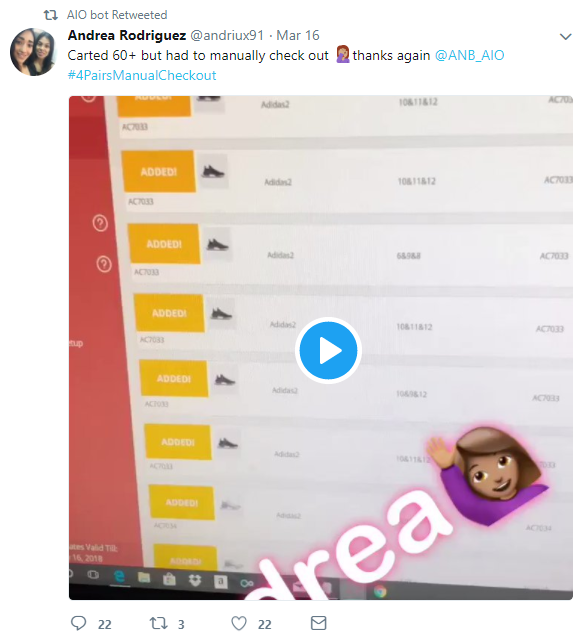 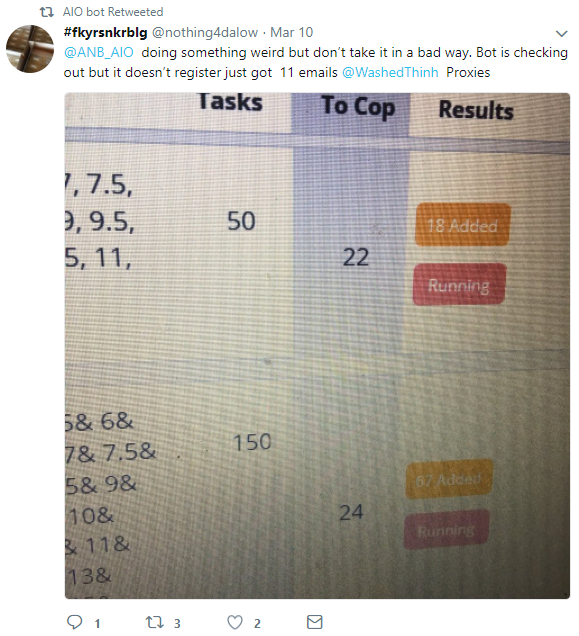 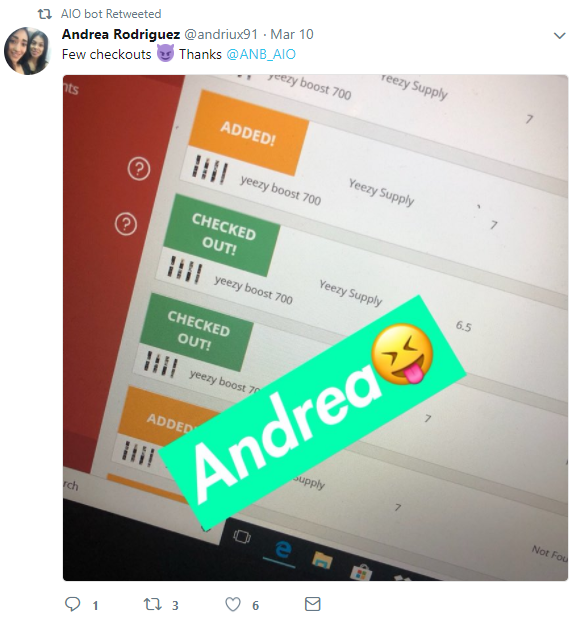 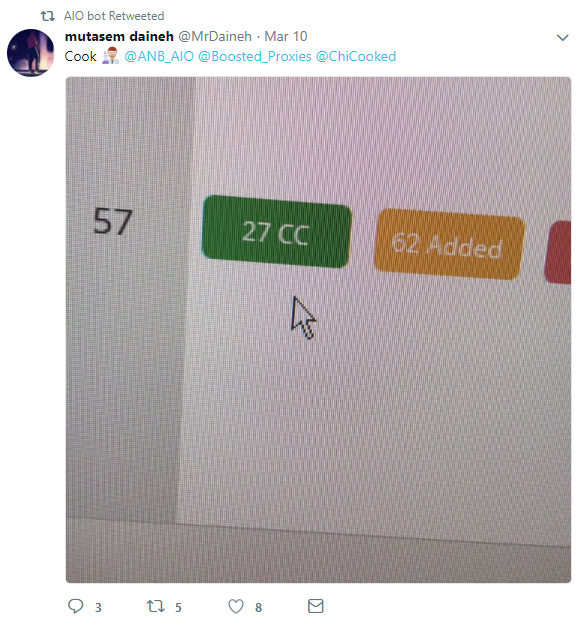 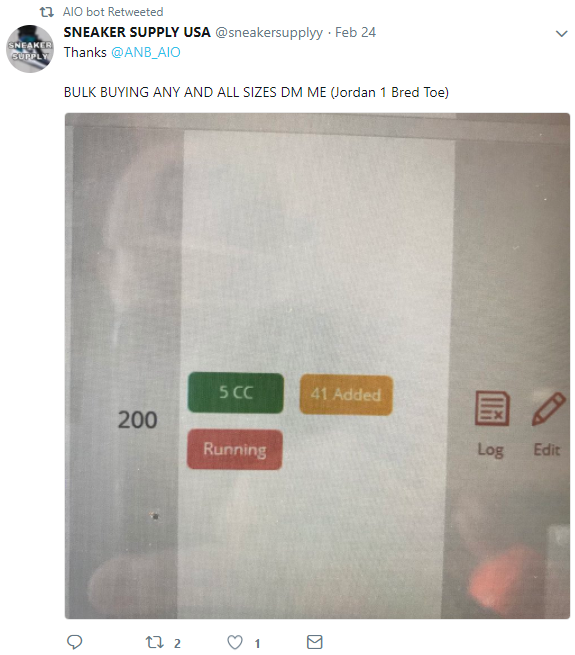 Buying our software does not 100% guarantee you will get the sneakers. 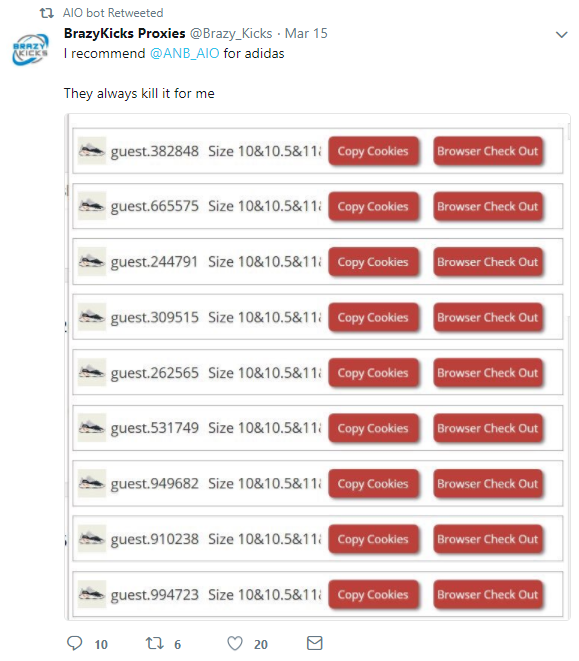 That is due to factors beyond our control, such as limited stock. 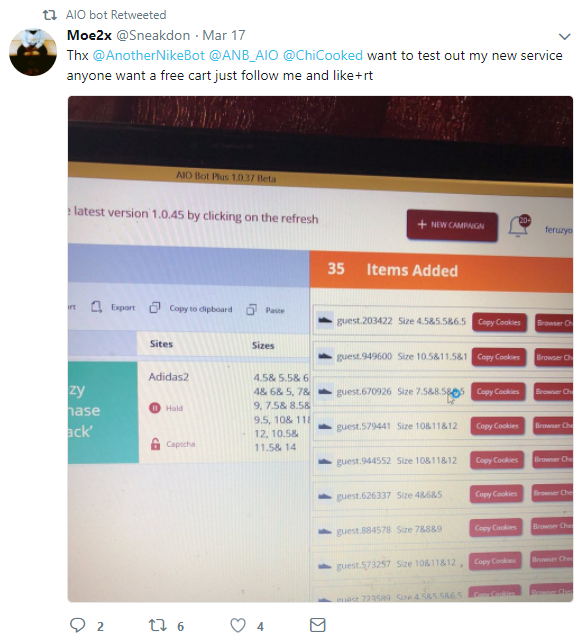 But it sure can increase your chances if you follow instructions right.